Grease the bottom of a glass pan (approximately 8"x12"). 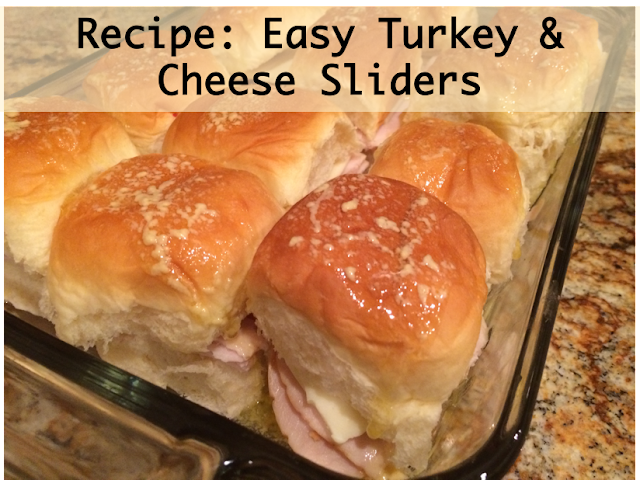 Slice each roll and add the turkey and cheese. Stir the mustard into the butter until thoroughly mixed. Spoon the butter and mustard mixture onto the top of each slider. Bake for approximately 10 minutes or until the tops are lightly browned.